Grambling had to call an audible with its football schedule. GRAMBLING, La. 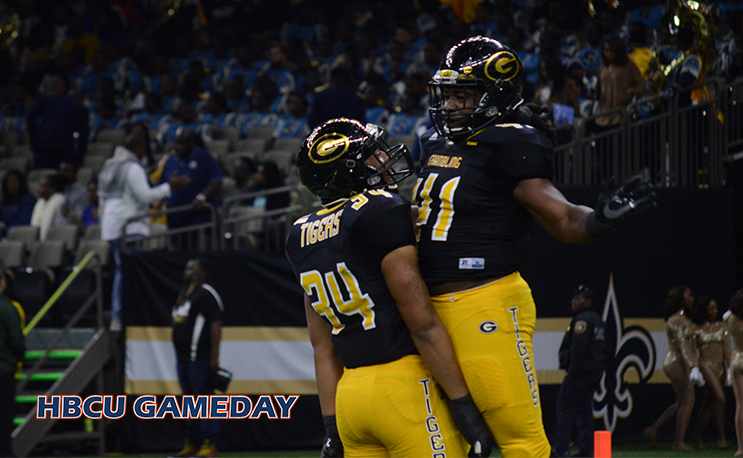 | Thursday, June 28, 2018 – Grambling State University released its updated football schedule on Thursday featuring a new October 6, 2018 home game facing Oklahoma Panhandle State. The Tigers will have an 11-game schedule as the Tigers will no longer face Bacone College Sept. 15. In addition, High School Day, which was set to take place on September 15, has been moved to September 22, when Grambling State will face Alabama State at Eddie G. Robinson Memorial Stadium. Business and Industry Day, which was set to take place on September 15 will now be held on October 6. The Tigers return this season after back-to-back Southwestern Athletic Conference (SWAC) championships and will play seven SWAC games, along with four non-conference games this season. Grambling State will play its first three games in Louisiana, before ending September with a neutral site game at the annual State Fair Classic against Prairie View A&M at the Cotton Bowl in Dallas, Texas. Season tickets for the 2018 football season are now on sale to the general public through the university ticket office. Fans are encouraged to visit www.gsutigers.com or visit GSU’s Ticket Office inside the Frederick C. Hobdy Assembly Center from Monday-Thursday 7:30 a.m. to 4 p.m., Friday 7:30 a.m. to 11 a.m. This season, ticket packages include season ticketing, tailgating, and optional early-bird tickets for the Bayou Classic. All ticket sales are final and there will be no refunds or exchanges. For more ticket information, please call (318) 274-2625 or (318) 274-2629. 9.1 at Louisiana Lafayette, La. 6 p.m.
9.8 at Northwestern State Natchitoches, La. 6 p.m.
9.22 ALABAMA STATE^ Grambling, La. 6 p.m.
9.29 vs. Prairie View A&M* Dallas, Texas 4 p.m.
10.6 OKLAHOMA PANHANDLE STATE& Grambling, La. 6 p.m.
10.13 at Texas Southern* Houston, Texas 6 p.m.
10.20 at Alcorn State* Lorman, Miss. 2 p.m.
10.27 ARKANSAS-PINE BLUFF*# Grambling, La. 2 p.m.
11.3 MISSISSIPPI VALLEY STATE*% Grambling, La. 2 p.m.
11.10 at Alabama A&M* Huntsville, Ala. 1 p.m.
11.24 vs. Southern* New Orleans, La. 4 p.m.